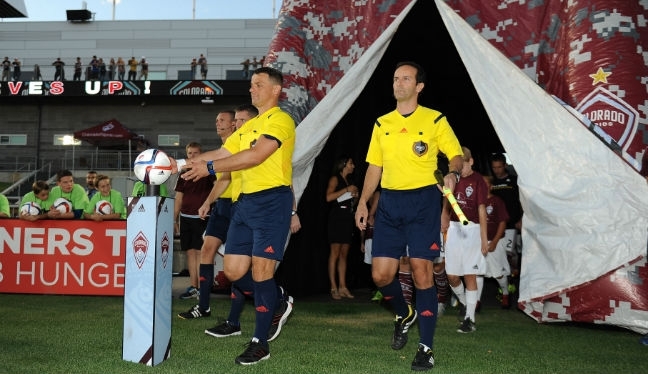 The referee hasn’t featured in the opening rounds of MLS games due to injury, but he is back in the center in the USL whilst working his way back to full fitness. We caught up with Stoica to talk relocation, climbing the officiating ladder, and future targets. 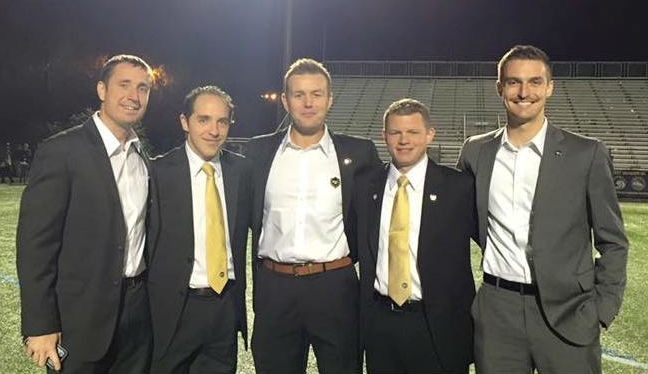 I was very fortunate to be one of the new referees on the MLS list when PRO was founded in 2012. PRO was a necessity because of the speed at which Major League Soccer, and North American soccer in general, is growing. All the changes and developments by PRO have been for the better. The referee program took a different direction, but it was a very good one. Anyone who is aspiring to be a referee can now consider it as a profession – and that’s not possible in many countries around the world. Of course, it’s not easy to get to the top, but it’s achievable. You need hard work, dedication and to make considerable sacrifices – the journey will consist of many ups and downs, too – but anyone out there can reach the professional level. For me to have that is something I never thought would happen, and it means the world to me. I have to thank all the mentors, assessors, administrators and, of course, friends who helped me make it – thank you gentlemen. At PRO we have a good group of officials. The brotherhood is very strong. It’s amazing to see how much we all help each other, but there’s still a competition between us. Everyone in the group has dreams of officiating the best games – the All-Stars, Playoffs, and of course the finals – but that’s what makes us a better group, and a stronger unit. After last season, which was my best as a professional referee, I was looking forward to a very successful 2016. But I was unlucky and unfortunately got injured during the fitness test back in January. The recovery is now coming to an end and I will be able to run the fitness test soon. It was hard to watch all my colleagues in action during the first weekends of MLS, but I am delighted for everyone because of the very good job they all did. It has been a very successful start of 2016 for PRO. Now, I cannot wait to get 100 per cent healthy and get back on the field stronger and more confident to make my goals happen. As always, the main goal is to be consistent with good performances during the season, and then hopefully get that MLS playoff assignment. I have worked playoff games or finals in the other North American soccer leagues, so the target is now MLS, and the U.S. Open Cup Final.